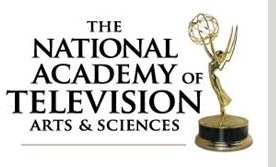 Stockholm, Sweden - Net Insight is honored by the National Academy of Television Arts & Sciences (NATAS) with a Technology & Engineering Emmy® Award for its pioneering achievements in reliable Internet streaming. Net Insight received the award for its contribution to the adoption of Internet solutions for live video transport. The recognition reinforces Net Insight's commitment to bringing new technologies early to market, and in this case the low cost and long reach benefits of the Internet to its customers in the highly demanding media industry. Already a pioneer within the media transport segment, Net Insight reinvented the economics for premium live video transport in 2012 when commercially launching an Internet contribution solution. With 6 years in the making, the Nimbra VA product line is now acclaimed by 100's of customers worldwide and has built a reputation of unprecedented reliability and simplicity. Values recently reinforced by the latest Eurasia deal announced just two weeks ago, marking the largest Nimbra VA deployment to date. "Already at the emergence of Internet contribution, we knew that our customers were going to expect the same levels of quality, reliability and simplicity that they were used to. These are simply things that always matters to media companies," says Love Thyresson, Strategic Product Manager at Net Insight. "Building products that truly delivers on these promises only comes with decades of real-world experience." "As the broadcast industry continues its transformation towards Cloud and IT technology as well as new remote and distributed workflows, being recognized by the Academy as a true media transport pioneer is a remarkable achievement," says Henrik Sund, CEO of Net insight. "The recognition confirms that the long-term investments we make in our engineering capabilities and future technologies, such as Internet streaming, are really paying off for the industry and for our customers."